In this time and age of instant coffee and instant noodles comes Fratini’s- an authentic Italian restaurant that has Halal-Certification. 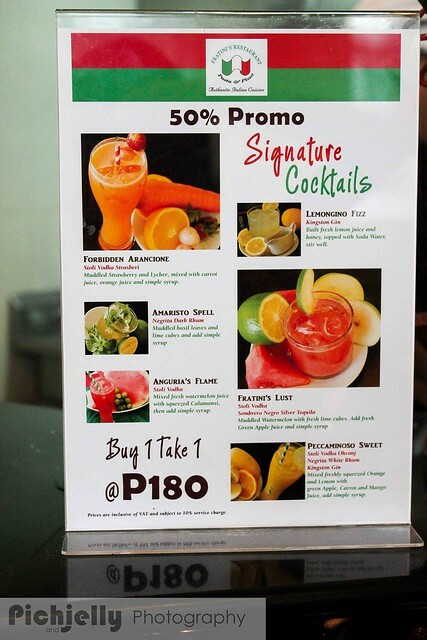 Fratini’s restaurant started in Brunei and is owned by a Muslim Filipino. It was founded in the year 1996. 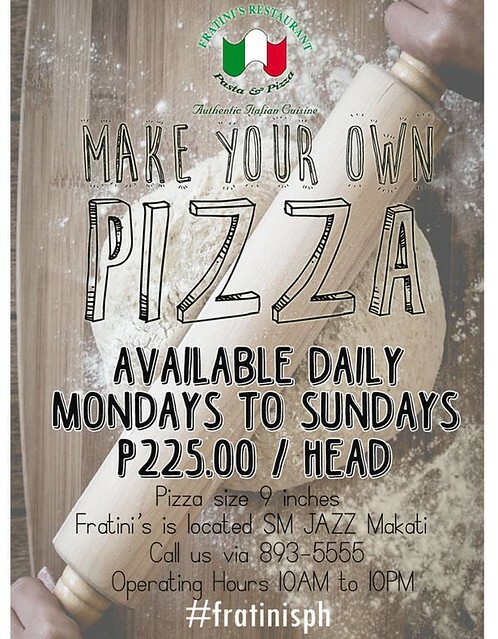 I am very lucky to be invited and to experience first hand Fratini's Restaurant "Make your own pizza" party at its very first branch in the Philippines located at the ground floor of SM Jazz mall in Nicanor Garcia St. (Reposo St.) cor. Metropolitan Ave., Bel-Air, Makati City. Learning the art of making a perfect Italian pizza no longer involves a plane ticket, expensive authentic Italian pizza class and a hotel room in Italy. Yes, dearest! Not anymore! 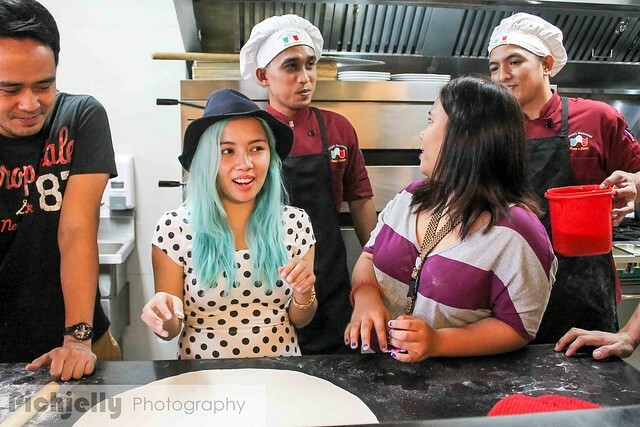 Because for only Php225.00 per head you can now learn how to make that perfect pizza you've been dreaming of. You can now host a Do-It-Yourself pizza party for your family and friends in the comforts of our beloved country--the Philippines. A very good bonding exercise for both adults and kids alike especially this Christmas. Fratini's chef took us on a step-by-step journey of pizza making from the dough, to the sauce, to the toppings, and a lot of other tasty tidbits and facts along the way as we master making the perfect pizza. We learned from the chef that pizza perfection starts with the crust and Fratini's cooking staff thought us the most comprehensive dough guide. From mixing, to stretching, and all the way through to cutting and nibbling the leftovers, you'll know your dough like the back of your hand, backwards and forwards by the time all is said and done. Fratini's opened up its recipe files for us and at the same time gave us the liberty to do our own favorite pizza styles. 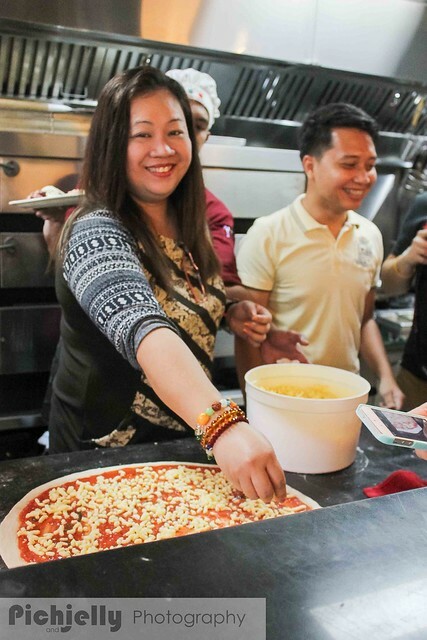 In Fratini's DIY Pizza party, its staff will guide you to a simple step-by-step pizza -making from the classic Hawaian to the marvelous Margherita, a legit Del Macellaio, a killer Calzone, and stupendous Suprema. And what you'll bake in its oven will be as good and maybe even better than that in your local pizzeria! It’s not dinner, it’s a party. That’s what you should keep in mind at this casual get-together, where guests get to work–and love it. Fratini's Italian Pizza is amazing. Fresh garlic mmmmmmm. I added a lot of pepperoni to it because I love pepperoni. It is very colorful and why not, you are not watching calories if you are eating this pizza. The crust is perfect - somewhere between traditional and pan without retaining a lot of grease. The ingredients are high quality and delicious. Think real Italian sausage, not that fake crap you get from popular pizza chains. While thick crust pies are their specialty, you can also choose a thinner, crispier crust. Fratini's restaurant offers a wide selection of teas and coffees for your morning breakfast, and savory Italian fare at night. Their tasty menu can be shared by two to four person and is very reasonably priced. Fratini's manager is frequently in the dining area making the rounds and is available to answer your culinary questions. Do-It-Yourself pizza is a quick, tasty and fun dinner solution. In the time that it takes to have pizza delivered, you can actually make your own! The nice thing about DIY pizza is that you can have fun personalizing it. You can incorporate your favorite flavors and textures. It's not easy finding a place that makes everyone happy. Try to sign up for Fratini's pizza making class together with your kids. I am sure they'll loved it. Fratini's has an open kitchen and friendly staff. Making your own pizza, choosing your own toppings is a real fun experience for everyone plus the pizza was awesome! For starters, you can have the delicious creamy Ravioli Prawn in Parsley sauce. Don't miss this! We also had Sicilian salad and pasta, all of which were amazing. If you go, try to have a little bit of everything. Yum! Fratini's restaurant uses only the freshest ingredients and everything is made from scratch. Fratini's two-floors dining area is spectacularly elegant and modern. We had a wonderful dinner with very knowledgeable, helpful staff. Great job, boys and girls! Thank you for being such gracious hosts. Fratini's have a promo where you get 30% off for deliveries on pizza and pasta, and 50% off for its signature cocktails for dine in customers who are paying in cash. Cool eh?